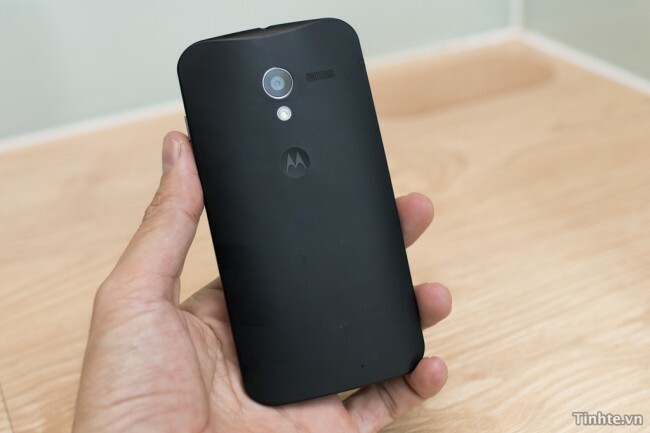 Rumor: Moto X to Feature “Clear Pixel” Camera? The Moto X camera is rumored to be a 10MP sensor, which is an odd size if you look at the typical sensors in the mobile industry. But if we attempt to find references to “Clear Pixel” technology, the only mentions out there include Kodak and 5MP cameras that shoot 720p video from a few years back. That doesn’t necessarily scream new technology, but it’s out there. Since they can’t afford to waste battery life on high-power flashes, camera phones have a tough time handling low light. A new imaging sensor design from Kodak addresses the problem using a different kind of pixel. Today’s cameras detect light with an array of red, green and blue pixels–which each see just one color. That means each pixel is ignoring two-thirds of the incoming light. The new sensor adds a panchromatic or “clear” pixel that detects all wavelengths of visible light, making it much more sensitive to the overall light level. By using a mix of clear and color pixels, the new sensor becomes two to four times as sensitive to low-light conditions. The specific pattern of how the four kinds of pixels are distributed can be varied depending on circumstances–a cameraphone, for instance, might use a pixel pattern that doesn’t require much computing power to reconstruct the image from the incoming light data. Another benefit is that greater light sensitivity allows faster shutter speeds, reducing the blur in action shots. The first prototypes are expected early in 2008. In terms of gestures combined with a camera, your guess is as good as ours in trying to figure out what that means. Motorola CEO Dennis Woodside said that the Moto X would contain new advanced sensors, and also try to predict your needs. In a recent report out of ABC News, sources claimed that a simple flick of the device could activate the camera without having to unlock or wake it. No matter what, I’m excited for this phone even if the current rumored specs are nothing to write home about. Normally, rumors like these are ignored by us, but Taylor has led the charge for Moto X rumors for months now and been spot-on from what we can tell. He was one of the first to talk about the phone being fully customizable with a variety of color choices, something that has now been confirmed by Motorola.